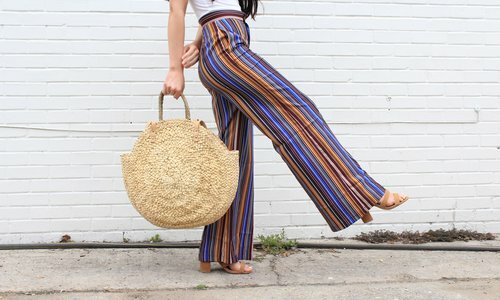 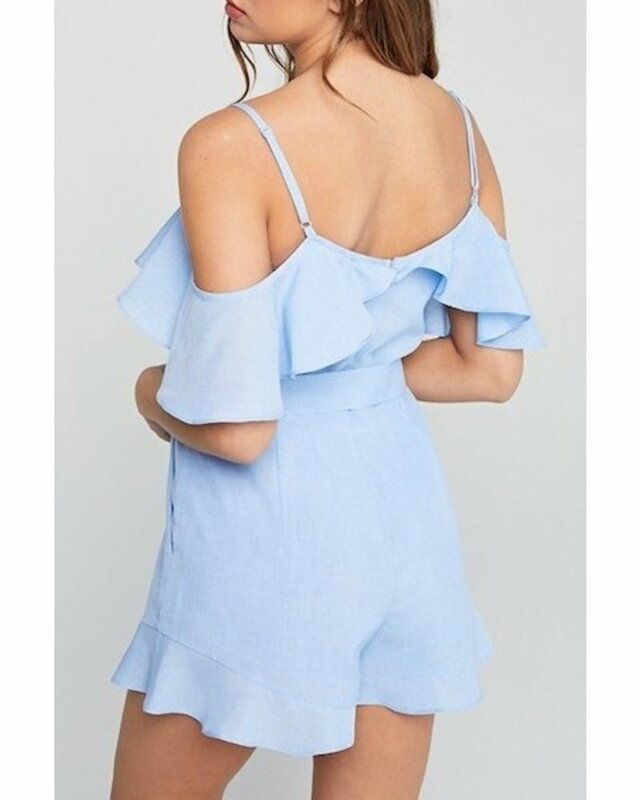 Keep those heads turning in our Here With Me Romper! 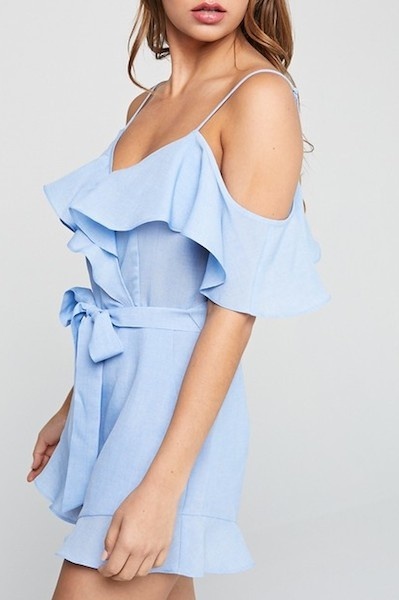 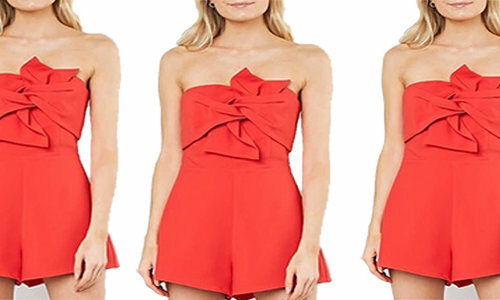 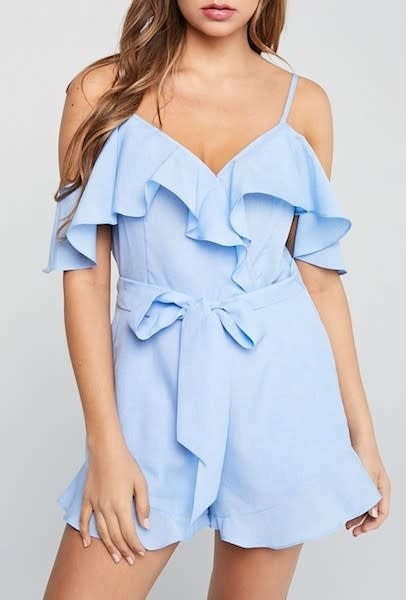 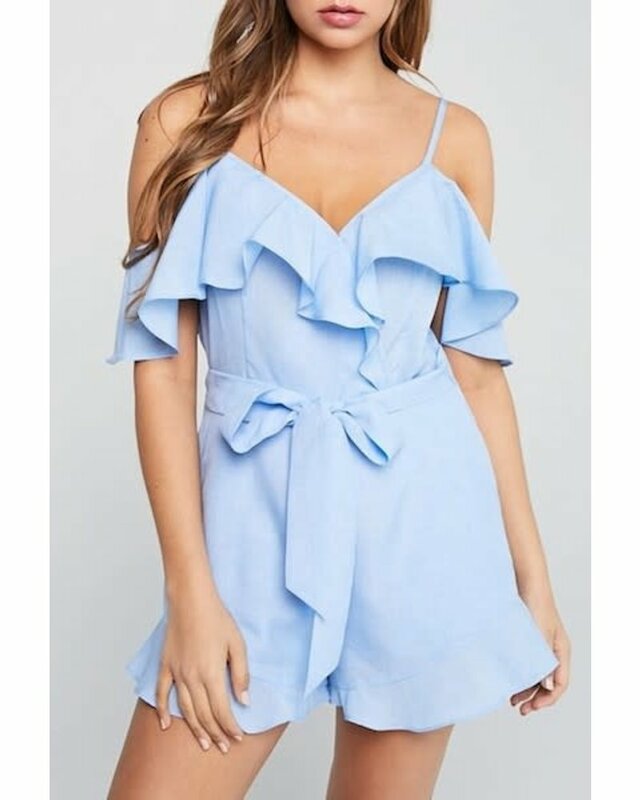 Cold shoulder ruffle trim romper with waist tie and side pockets. 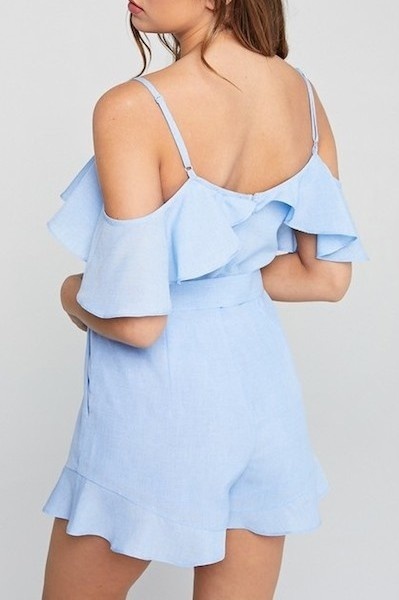 Adjustable straps and hidden back zipper.